Human Resources, Asia’s only regional media and events brand, has announced the 120 finalists for this year’s Asia Recruitment Awards 2017, the awards show which recognises and celebrates Asia’s talent acquisition and recruitment champions. The Asia Recruitment Awards is taking place in Kuala Lumpur on 31 March, Singapore on 7 April and in Hong Kong on 12 April. All awards were reviewed and assessed by respected HR leaders who made up the jury. The in-house award categories are dedicated to innovative recruitment programmes centred on the ingenuity of corporate teams. Meanwhile, the awards reserved for recruitment agencies spotlight organisations which excel in executing best practices and delivering results in attracting and hiring quality candidates for their clients. The winning agency should display proficiency and commitment in providing excellent client service. The Asia Recruitment Awards are judged solely by an esteemed jury of senior HR leaders from around Asia, making it the only HR awards in Asia created for HR professionals by HR professionals. Some of the other companies represented on the Asia Recruitment Awards 2017 jury are Bloomberg, Deloitte, Philips, Singapore Post and many more. All judges are director or vice president level HR professionals with regional responsibility. 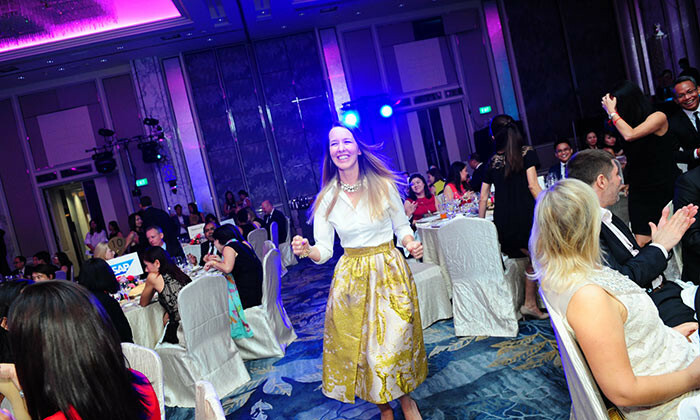 The list of past Asia Recruitment Awards winners is filled with reputable companies in Asia: British American Tobacco, EPS, Forefront International, GroupM, Hewlett Packard, HSBC, IHS Global, Intel, Jobstreet, ManpowerGroup, Maybank, Media Prima, Merck Sharp & Dohme, Randstad, SAP and many more. PS: Get an exclusive discount off your gown rental with code: ARA2017, with RENT A DRESS, our official style partner for the Asia Recruitment Awards 2017! This enables it to better support local businesses expanding into other markets, and foreign firms exploring Asia as growth market..